The SCANDINAVIAN SAS flight OY-KHP crew took off from Copenhagen airport at 16 h 34 for Grenoble. At approximately 17 h 53, the crew began the descent for an ILS approach on runway 09. The meteorological conditions on arrival were VFR conditions, at night with an easterly wind of 8 kt. The moon was still below the horizon at the time of arrival and there was cloud cover hiding the stars, making it a particularly dark night. The runway and approach light system were set at the dimmest level. The crew was established on the localizer at approximately 10 NM from the runway threshold and had the runway in sight. At 18 h 23, at a height of 1,500 ft approximately, the airplane was on the ILS final approach path at an indicated speed (IAS) of 157 kt, landing gear extended, in “28” configuration, with autopilot and auto-throttle engaged. The selected Vapp speed was 137 kt. 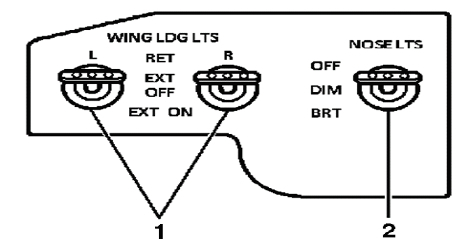 The lighting switch for the nose landing gear lights was set at low intensity (“DIM” position). 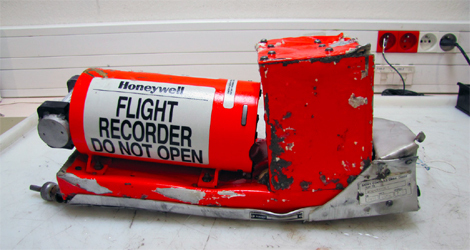 At a height of approximately 1,000 ft, the crew disengaged the autopilot. The SCANDINAVIAN SAS flight OY-KHP was stabilised at a speed slightly greater than Vapp on the glide path and with a vertical speed of -700 ft/min. At a height of approximately 200 ft, the captain disengaged the auto-throttle. The position of the levers moved back slightly and the EPR also decreased. From this moment until the passage to reverse position, the position of the thrust levers did not change. The approach remained stabilised on the glide path of 3° at a speed equal to Vapp + 3 kt and a rate of descent of 700 ft/min until reaching a height of 100 ft.
At 100 ft, the IAS started to decrease and went below Vapp. The rate of descent increased and reached 850 ft/min. The pitch attitude was 4° nose up and began to increase slightly. At a height of 30 ft, the SCANDINAVIAN SAS flight OY-KHP went slightly below the glide path and the IAS was Vapp – 4 kt. At a height of 15 ft, the elevator of Scandinavian SAS flight OY-KHP was sharply moved to nose up, leading to a swift increase in pitch attitude. 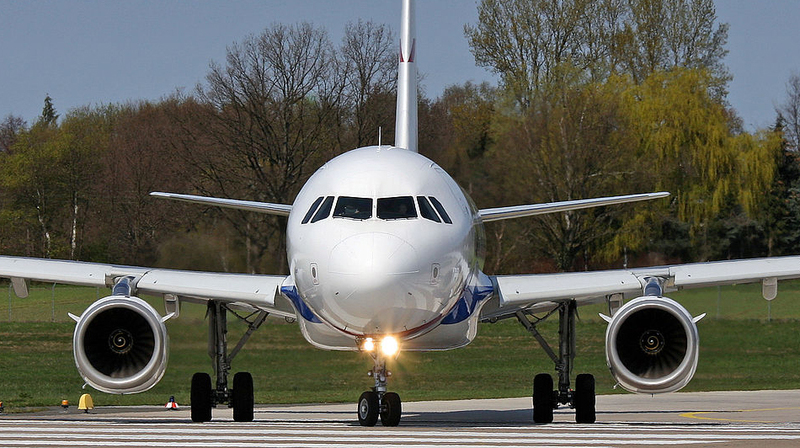 Two seconds later, the rear of the fuselage touched the runway, with a pitch attitude of 10.7°. 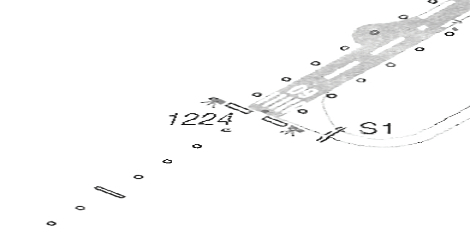 The marks left on the runway indicated a point of contact 166 metres before the touchdown zone. The vertical acceleration value reached a maximum of 1.95g. Two seconds later, the thrust levers were retarded and the thrust reversers were deployed. The SCANDINAVIAN SAS flight OY-KHP then taxied to the parking ramp.